In December 2009, two concrete Chinese projects that were years in the making came to fruition in Russia and Central Asia. One provides China with Russian oil, the other with Turkmen gas. Both projects demand the attention of net energy consuming countries everywhere as they are indicative of how China is catalyzing change in the region with immediate impact on global energy supply patterns. Ultimately these projects will impact European energy security measured by the quantity and price it pays for future oil and gas deliveries. The insatiable Chinese appetite for oil (a phrase usually reserved for the United States), and Russian agreement to deliver massive quantities of this commodity to the Chinese market over the next twenty years, feeds a Russian government whose ultimate intent and direction remain largely unknown. As troubling as Russia may be, China in all its permutations is a much bigger story. As China has systematically moved into Central Asia, Europe’s Nabucco pipeline, touted as a way to reduce Europe’s dependence on Russian gas, has floundered as a paper-tiger: a paper pipeline that lacks even paper-bound (contracted) gas supply. Putin: "It's a great New Year's gift for Russia"
In December, Russian Prime Minister Vladimir Putin opened a new oil export terminal that will serve as a key gateway for Russian energy exports to Asian markets. According to Russian information sources, the opening of the new oil terminal at Kozmino, near Nakhodka, pushes Russia closer to the strategic goal of diversifying its energy exports. However, Russia’s strategic goals go far beyond export oil. Oil and gas form the chassis on which Russian foreign policy rests. These exports are not simply what ‘greases the wheel’ of Russian foreign policy; Russian energy exports are the transmission, drive-train and wheels themselves of Russian policy. 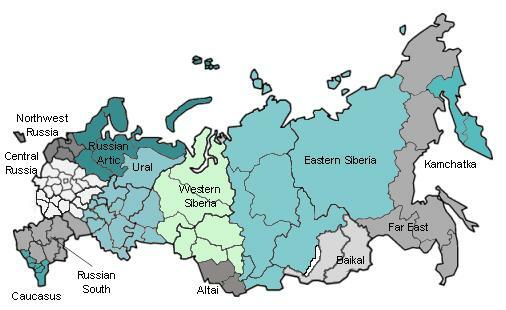 Map: Eastern Siberia courtesy of TNK-BP co.
Once the EPSO pipeline is completed, it will shift Russia’s ability to diversify its piped export pattern from exclusive reliance on western piped oil exports to the east. The timing of the pipeline’s inauguration could not have been better. The pipeline opens up new possibilities for Russia’s own export markets at time critical to its own financial future. 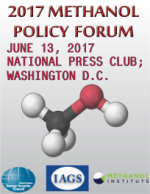 It is important to remember that it is oil, not gas, that is the single largest net contributor to Russia’s national revenue stream. An additional bonus may be an enhanced ability for Russia in the future to impact the price of oil in downstream refineries across Europe, particularly as output from Russia’s Western Siberian super-giant fields (on which these refineries depend for input oil) peaked long ago. Eastern Siberia, the source of ESPO oil, is expensive to develop and transport. China’s ability to tap these resources, and a willingness to pay for them, assists Russia financially at a level of investment it has been either unable or unwilling to make; it also helps China diversify its own oil import profile adding Russia to its portfolio of oil investments across Africa, the Middle East and South America. While oil is rarely used for power generation, China needs future oil to provide for its own growing domestic transportation fleet of passenger cars and trucks. In fact, over the past twenty years against the background of accelerating Chinese economic growth, China has gone from a net oil producer to presently the world’s second largest importer behind that of the US. Oil availability is critical in assisting the Chinese Communist Party in avoiding threats from domestic political turmoil due to resource scarcity and maintaining its grip over the country and its economy. For its own part, shoring up a long-term Russian-Chinese oil agreement may provide some comfort to Russian strategists who have long feared a potential Chinese land-grab in Russia’s Far East. It is a tangible cooperative measure on which both states depend. It provides Russian employment opportunities in its beleaguered Far East. It further provides another building block in Russian-Chinese relations to offset perceived US influence across the broader Central Asia region-a development viewed as unwelcome both in Beijing as well as in Moscow. Improving Russian-Chinese ties in the energy sphere underlies the long-standing desire by both countries to balance if not offset Western influence across Central Asia. The gauntlet for this has historically been the Shanghai Cooperation Organization (SCO) which was originally comprised of Russia, China, Kazakhstan, Tajikistan, and Kyrgyzstan. Uzbekistan has also joined the SCO as a full member. Key to SCO member state cooperation is the exercise of a multi-vector policy which stresses mutual advantage through cooperation as opposed to ideology as a driving force. While academics may argue the popularity of this policy in Russian government circles through its ebb-and-flow since the Yeltsin regime it is a practical tool on which Russia, both bilaterally as well as within the framework of the SCO, seeks to operate on and on which it sometimes succeeds. Globalization already drives mutual advantage forward as a driver of cooperation and energy is a key determinant of economic productivity and growth. Within the SCO framework, and in energy in particular, one finds the world’s largest oil exporter, Russia, and what will be by 2030 the world’s largest oil importer China. Interestingly, Russia’s National Security Strategy to 2020 clearly underscores this policy. It states, "The change from bloc confrontation to the principles of multi-vector diplomacy and the natural resources potential of Russia, along with the pragmatic policies of using them has expanded the possibilities of the Russian Federation to strengthen its influence on the world arena." The SCO embraces an East Asian vector: Russia, China, Mongolia, and the Korean Peninsula. Oil exports from Kozmino will be destined (in addition to China) to Korea and Japan. SCO cooperation in energy has been advanced in the form of two ideas in recent years. In 2006 Putin put forward the idea of creating an Energy Club involving SCO members and observers. 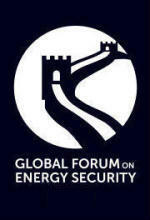 The Energy Club concept has at least four dimensions: a) global; b) regional/Eurasian (Russia, China and four Central Asian countries); c) sub-regional/Central Asia (Kazakhstan, Tajikistan, Uzbekistan and Kyrgyzstan); and d) national (the development of national energy models by the six SCO members). The ESPO pipeline therefore embraces ideas advanced both through Eurasian regional cooperation as well as through a bilateral Russia-China energy model. Further, it provides traction, if only indirectly, for advancing the Energy Club idea ‘and its observers’ which include Iran. In 2009 Kazakh President Nursultan Nazarbayev put forward the additional idea to establish an Asian energy market. Iranian President Mahmoud Ahmadinejad’s stated that his country could serve as a platform for SCO energy ministers’ meetings with a view to studying possible regional cooperation in the exploration, extraction, transportation and refining of oil and gas expand the contours and potentialities of the Energy Club idea. 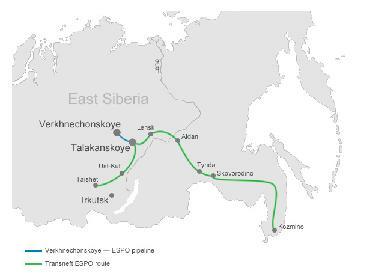 Regardless whether the ESPO pipeline project was conceived within this context (doubtful) its working expression in deepening Russian-Chinese cooperation in the energy sphere advances the establishment of such an Asian energy market. Another game changer, this time in Central Asia itself, occurred in December when China's President Hu Jintao traveled to Turkmenistan to celebrate the launch of a natural gas pipeline from that country to China. The 4,350 mile gas pipeline (approximately 1100 miles of which runs through Turkmenistan) is not only a significant technological achievement but signals a significant victory for Beijing, marking the culmination of years of lobbying for influence over the region's strategic energy resources, traditionally dominated by Moscow according to an Agence France report. 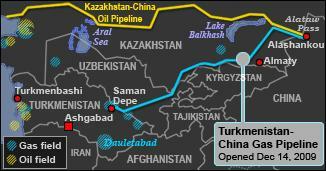 The pipeline connects gas fields in Turkmenistan to those in Uzbekistan and Kazakhstan before passing through China's Xinjiang Autonomous Region. According to the China National Petroleum Corp (CNPC) it will eventually import up to 40 billion cubic meters when it reaches full capacity in 2012. Noteworthy is the fact that this new Chinese-Turkmen pipeline exceeds the EU’s planned Nabucco pipeline capacity when full (31 bcm), by nearly 25%. In short, while the EU has been unable to barter a pipeline deal secured by steady gas supply the Chinese leap-frogged the Europeans and have eclipsed not only the EU’s objective of weaning itself from Russian pipeline dependency but have secured gas that otherwise may have gone to Russia. Russia has long dominated the Kazakh oil export market and the Turkmen gas market by virtue of the Soviet legacy pipeline network that sent all product northwards. This new gas pipeline breaks this transport monopoly. Since April of 2009 when Russia’s Gazprom and Turkmen authorities argued about the assessment of blame for a pipeline explosion that disrupted Turkmen gas exports to Russia tensions have been building between the two countries. The Turkmen-China pipeline may be viewed by Moscow as a safety valve to diminish these pressures and put the Russia-Turkmen relationship back on track. In fact, a new Russian-Turkmen gas agreement was reached in December to renew Turkmen gas exports to the Russian Federation albeit at only 30 bcm per annum. This agreement covers only two-thirds of the volume of Russian gas imports from Turkmenistan over the past several years. Historically, Moscow has depended on Turkmen gas imports to meet its own domestic gas demand while concurrently it has struggled to keep production volumes up in order to fulfill its contractual commitments in gas to its downstream EU customers. However, like in oil, EU gas demand has fallen with the recession allowing Russia to diminish import volumes from Turkmenistan (and save money by doing so) while foreign demand for its own gas has fallen. It is also no surprise that the new Russia-Turkmen gas agreement coincided with the opening of the new China-Turkmen gas pipeline and with it an emboldened Turkmenistan at the negotiating table. Second, by Russia ‘allowing’ Turkmen gas to flow eastwards this in turn keeps Turkmen gas out of the European market. This shores up Gazprom’s monopoly over its EU customers which is an even more important consideration than it facing the immediate impact of reduced Turkmen gas imports particularly under soft market conditions. When asked his opinion of the Turkmen-China pipeline and its impact on Russia, Prime Minister Putin responded, "The commissioning of the Turkmenistan-China pipeline is not going to affect our plans to expand our own pipeline network, which could possibly also reach China,'' Putin said. 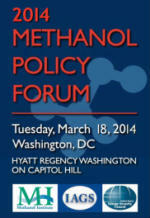 "I am referring to China's growing consumption of primary energy resources. We maintain regular, close contact with our Chinese colleagues on this issue. We know how fast the demand is growing there, and they too are closely monitoring the situation. The gas link to Turkmenistan will not undermine our plans." The plan Prime Minister Putin was referring to has as much to do about maintaining its monopoly position over gas in Europe as it does about expanding into the Chinese market. The fact is the Turkmen-China pipeline is another nail in the coffin of Nabucco a major point of contention for Moscow and a threat important enough to have catalyzed Russia’s South Stream project. Despite analysts sanguine assessments that this Turkmen gas (from Turkmenistan’s eastern province) would not have been destined for Nabucco it lessens the attractiveness of Nabucco as Turkmenistan’s sole alternative to gas exports which obviate Russian space and gives Turkmenistan greater standing in discussions over Nabucco with its European counterparts. Third, as important as Chinese imports of Russian oil are it will not be able to increase natural gas as a share of its primary energy consumption (3% in 2005 figures) without piped gas from Turkmenistan. In fact China plans on increasing natural gas in its energy profile to 10% by 2030 so gas, as opposed to oil largely considered fungible from an import standpoint, may be as important if not more important to its own energy future. 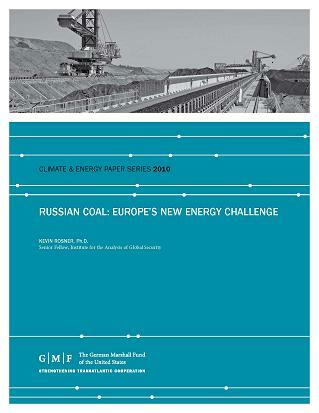 With China setting the reset button on Central Asian energy, it may have used its influence with Russia to downplay the importance of Turkmen gas diversification to China and in return may have highlighted the revenue and opportunities for employment creation in Russia’s depressed Far East created by the ESPO pipeline as a trade-off. The fact is that China has a comprehensive policy in Central Asia that goes beyond oil and gas. Since 2000 China-Turkmenistan trade has multiplied by a factor of 40; thirty five enterprises are working in Turkmenistan today with Chinese capital. Chinese companies are active in sectors of the Turkmen economy as diverse as oil and gas, telecommunications, transport, agriculture, textile, chemical and food industries, healthcare and construction (see here). While the US remains Turkmenistan’s most important trading partner, the approach of both European and US investors has been much more stove-piped with a fixation on tapping Central Asian energy resources. Rightly or wrongly this is seen as more blatantly exploitative than similar policies pursued by either their Russian or Chinese counterparts even though the results may be the same. Because China has championed this comprehensive pioneering approach it somewhat diminishes the view that it is fixated exclusively on Central Asian energy resources. All the while, in reality, China has become one of Central Asia’s largest energy players taking an increasingly larger stake in-and-out of these energy rich countries. Secondly, China pursues its own policy of mutual-advantage based on the strategy of multi-vectorism as embedded in the SCO. In speaking to Chinese media in Ashgabat on the eve of the Chinese president’s arrival for the commissioning of the gas pipeline on December 14, Turkmen President Gurbanguly Berdymukhamedov highlighted repeatedly how his country's relations with China have become multi-faceted. For China’s part, mutual advantage begins in being able to access gas supplies from Turkmenistan, a country with the world’s fourth largest reserves of natural gas. Second, the fact that Turkmen gas is piped versus shipped in LNG form avoids the pitfall of the Malacca Straits a waterway critical to Chinese trade and security interests and one beleaguered by piracy and thereby subject to instability. The Straits also are a key area of geostrategic interest to the US and Japan as 30% of global trade and 80% of Japan’s oil imports must pass through its waters. China fears a blockage of this critical choke-point under a variety of scenarios which include a war in the Middle East that could disrupt sea-borne transport to the Chinese mainland. Third mutual-advantage is strengthened through mutual Turkmen-Chinese co-dependence on the one hand. On the other, it extends Chinese geostrategic interest in stability but also in vulnerabilities associated with instabilities across Central Asia. It is therefore difficult to ascertain where China’s energy interests stop and its geostrategic interests begin. In the end, China’s Central Asia policy allows for greater engagement across a broad number of policy areas which is perceived as positive by Turkmenistan in this case. However, Chinese ambitions may go well beyond those of energy. On the occasion of the inauguration of the Turkmen-China pipeline, which as mentioned also involves Kazakhstan, the Chinese president reportedly asked Kazakh President Nursultan Nazarbayev to provide access to Chinese farmers to approximately 2.5 million acres of Kazakh land for farming purposes. This has caused street protests in Almaty with fear spreading among the Kazakh population (16 million in a country larger than the EU) that if such access was provided this geographically large but population-poor country could ultimately be over-run by Chinese emigrants. A similar scenario has been reported in the Russian city of Vladivostok where collaboration between some of the Russian elite and their Chinese counterparts have attempted to take over a large percentage of the city’s real estate holdings. While both events have yet to be resolved, it would appear that Chinese ambitions in Russia and Central Asia extend well beyond the well-head. It has been argued that the SCO provides a framework for mutual advantage. This advantage should be characterized as tactical cooperation as opposed to a strategic alliance. Despite all the rhetoric differences do exist between these cooperative partners: China-Russia, China-Turkmenistan, and China-Kazakhstan. Opportunities therefore do exist for intensified US-EU and Central Asian cooperation, but such cooperation should embrace the policy of multi-vectorism driven by mutual advantage and should focus on the long term strategic interests of Western governments where these interests coincide with their Asian counterparts. One issue already of regional concern is the bleeding of Islamic extremism across the borders of Afghanistan and Pakistan into Central Asia where now the Chinese have pronounced financial and energy-security interests at stake. Complicating this is China’s own problem with the Uighurs, a Muslim minority in the increasingly energy-critical Xinjiang province, that prevents China’s complicity in direct collaboration in Afghanistan with Western forces. The link between Islamic extremism and their ability to threaten and undermine energy infrastructure is well demonstrated. Despite political obstacles this may be one area where mult-vectorism could make some headway. Another, perhaps less impressive but altogether prudent approach towards forging an energy future between the US-EU and their Central Asian counterparts, is in a well articulated long-term strategy for engagement that transcends energy itself. In the post-Cold War period Moscow has for too long been able to impact, sometimes with impunity, relations between Western interests and their Central and Eastern European partners. Moscow’s ability to extend its influence and disregard for legitimate but out-of-area interests strengthens as the geography shifts to Central Asia. Again an assessment of the advantages of mutual cooperation versus a net-back win or lose approach towards driving forward a more comprehensive mutual cooperation and security pact in Central Asia may gain ground. Yet without any new longer-term policy orientation by Western nations vis-à-vis their Central Asian partners, the Chinese reset on energy across this region is bound to hold. While Chinese moves in Central Asia to secure their own energy security are well understood such moves should not be allowed to evolve with negative impact where Western interests are equally legitimate.